Today I’m sharing this gorgeous free mandala coloring page from ‘The One and Only Mini Mandala Colouring Book’ as well as giving you the chance to win a copy of the book yourself. The One and Only Mini Mandala Colouring Book takes all the intricate and beautiful designs from The One and Only mandala range and puts them together in an accessibly sized book. If you haven’t tried out The One and Only books before I can guarantee you will love them! I’ve shared a free butterfly coloring page and a free cities and landmarks coloring page from them before so if you haven’t tried them out yet go and download them now! 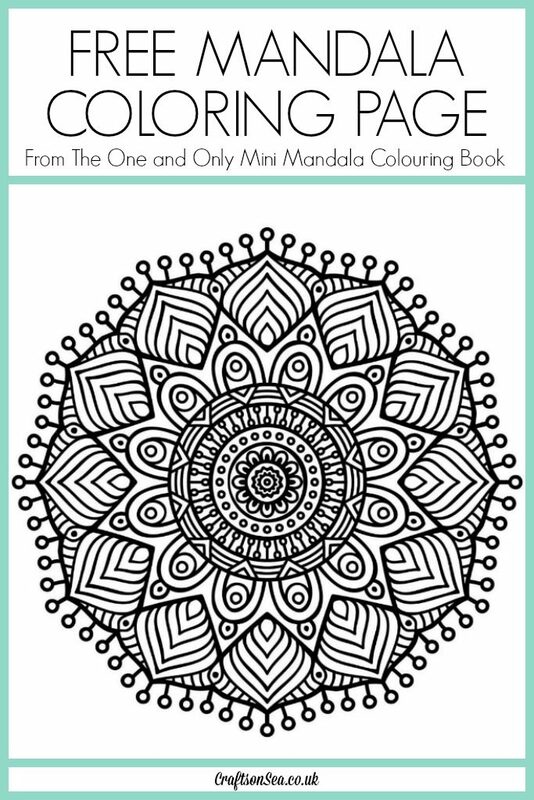 For a chance to win a copy of The One and Only Mini Mandala Colouring Book just complete the details in the Rafflecopter widget below. The widget also contains the full terms and conditions of this giveaway. I love colouring patterns as I find it very relaxing, thanks for the lovely giveaway. I love abstract patterns and nature scenes. Flowers are nice to colour. I enjoy colouring patterns too. Wee like colouring landscapes too. So far I have mainly coloured animals and flowers, both of which I enjoyed. “Chocolate box” cottages are my favourites. so far I’ve been doing the funny adult colouring books as they were bought for me as a joke present, but I’ve really enjoyed them and am looking for a nice floral or cat colouring book to do next. I like the mandalas as you can colour any colour you like. When I’m colouring animals or flowers I always feel I need to colour the actual colour if that makes sense! I really like the person type colouring in. I used to love colouring animals in when I was younger, but the ones who were doing Christmas-human things – like writing cards/decorating Christmas tree/cooking meals etc. Pictures of flowers and symmetrical patterns. I love colouring beautiful birds.